Franklin Police are working to identify two suspects wanted for stealing a woman’s wallet in Cool Springs. The victim inadvertently left her wallet in a chair outside of JCPenney. 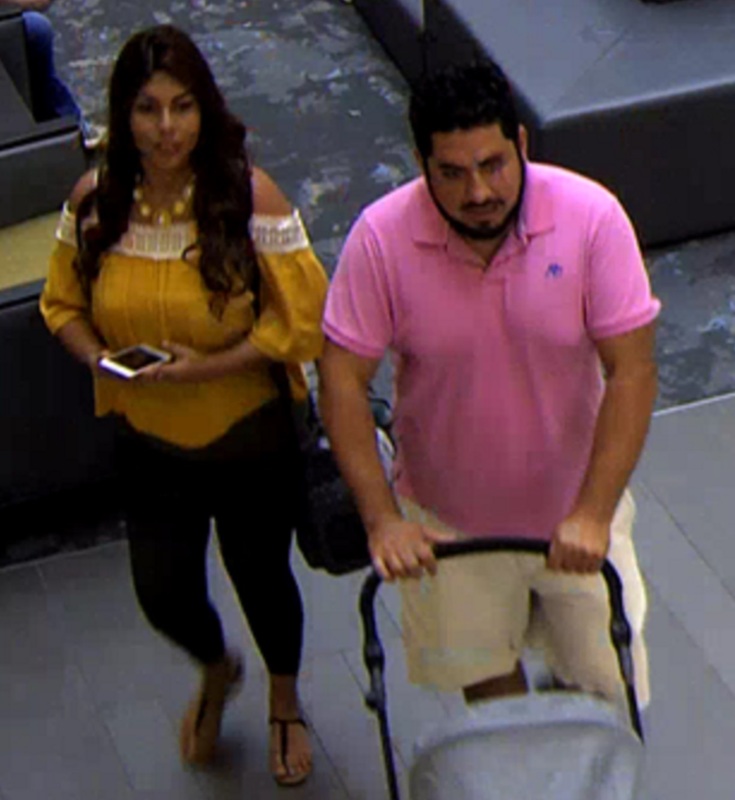 The couple in these surveillance photos saw the unattended wallet when they were walking by. The female suspect then picked up the wallet and put it into her baby’s diaper bag. The couple left in a full-size champagne colored SUV with tinted windows.